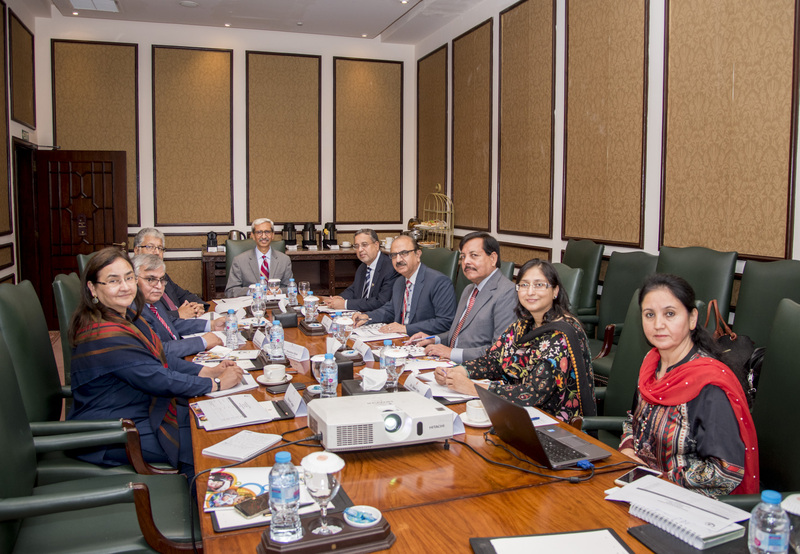 The First Meeting of the General Body of Pakistan Alliance for Early Childhood (‘the Alliance’) was held on Saturday 27 th October 2018 at Serena Hotel, Islamabad. Out of ten General Body members, eight were able to participate in the meeting. The Chief Executive Officer and the Coordinator of the Alliance also attended the meeting. The meeting began with the recitation from the Holy Quran. Mr. Nasruddin Rupani, the Chairman introduced ‘the Alliance’ and its registration process with the Securities & Exchange Commission of Pakistan (SECP). The Chairman thanked the distinguished members of the general body for giving their consent to become the Directors and for contributing their time to participate in the meeting on short notice. He particularly thanked Mr. Muhammad Rafique Tahir, Joint Educational Advisor, Ministry of Federal Education & Professional Training (MoFE & PT) for his continuous support and guidance for the initiatives on Early Childhood Development in Pakistan in general, and for establishing PAFEC in particular, with the aim of serving every child in the country. The first general body meeting mainly focused on the vision, mission, and objectives of the Alliance, followed by the scope of its work and how the Alliance will work to achieve its mission and objectives. I am happy to learn of this great Alliance. I will support it with my best intentions and hard work. Thank you so much Mam for your appreciation and showing interest to support PAFEC. Wishing you all the best …Masha Allah.. A much needed initiative.. We are always there for any help.